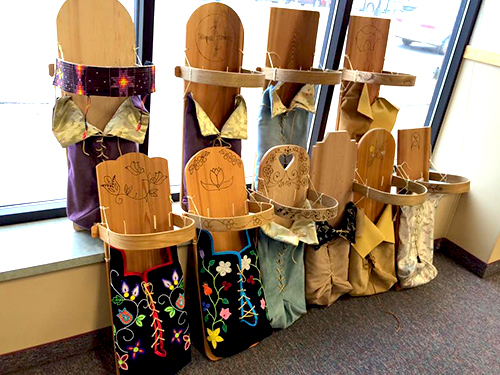 Recent Ojibwe high school graduates carried shovels full of dirt from huge piles of excavated soil and poured them into screened boxes, then sifted the dirt onto the ground, revealing tiny objects left on top the screen. The young workers became excited as they gathered together and examined the little pieces of rusted metal, glass, rock, or bone fragment. They brought the peices over to their foreman, Bob Sander, if they looked to be of particular interest. Sander checked them over with great detail and placed them in a plastic baggie. One object was an etched deer knuckle bone that had been used in earlier centuries as a game of skill. The Ojibwe once referred to this game as Pepengunegun, a cup and needle game that required players to skillfully thread a bone needle through the thimble-like knuckle bone. the value of the excavation project. findings to Bisonette. The water line project was stopped. villages without men to dig deep graves. or funeral artifacts uncovered by accident. revealed more about Lac Courte Oreilles history. 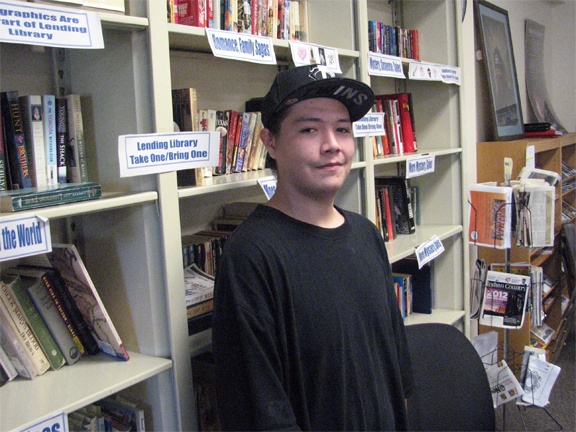 Both teens said they would like to go to school to study archeology.